Hanukkah, the Jewish festival of Lights is observed by lighting candles of a Hanukkiah (chandelier) each night, one additional candle is lit by the shamash until all eight candles are lit together on the final night of the holiday. 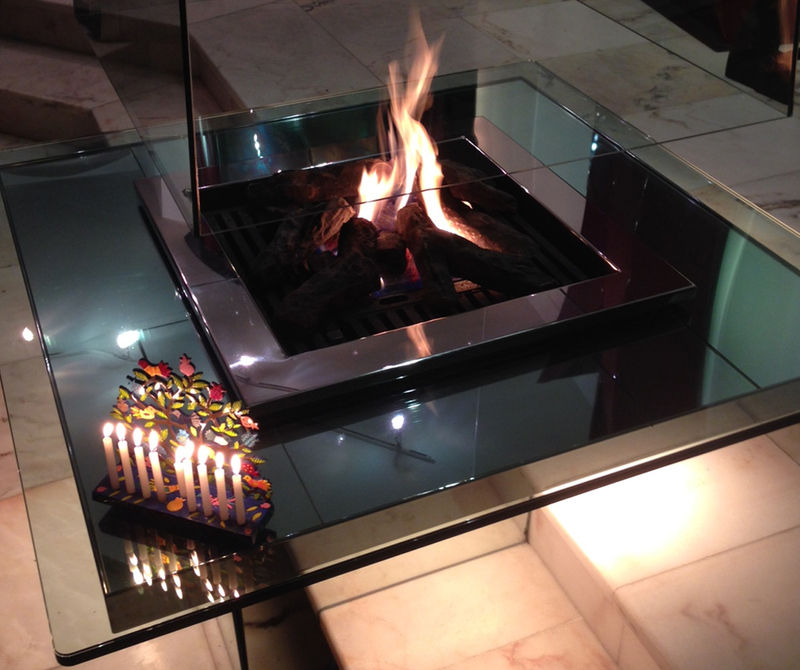 The Hanukkiah is placed by the window or why not on a fireplace?! December 8 is synonym of “Fête des Lumières”, the Festival of Lights of Lyon that is a holiday widely celebrated in Lyon nowadays and started in 1643 when the city was struck by plague. The municipal councillors promised to pay tribute to Mary if the town was spared. Ever since, a solemn procession makes its way to the Basilica of Fourvière on this day to light candles and give offerings in the name of Mary. The event thus commemorates the day Lyon was consecrated to the Virgin Mary. 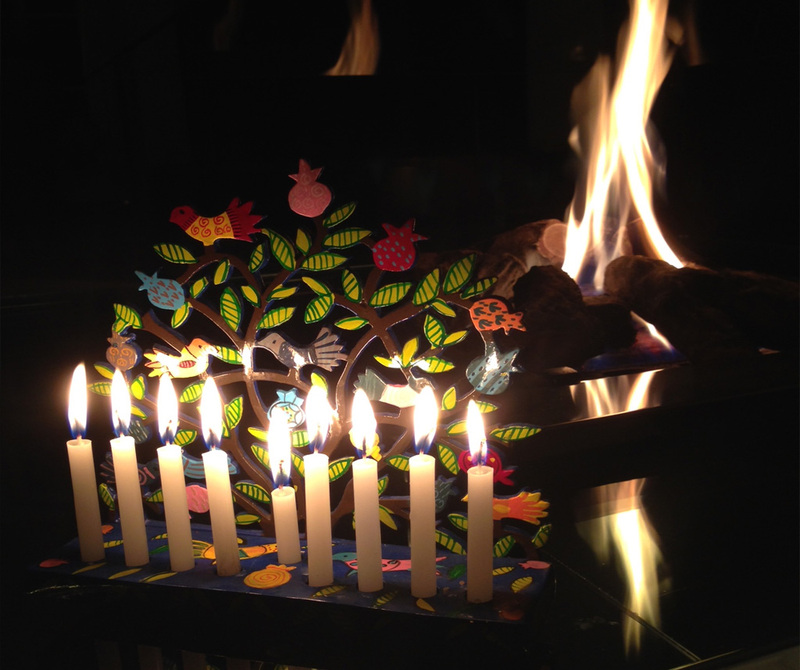 In reality, the lighting of candles was later taken from the festival of Hanukkah as Jews in Lyon had then their Hanukkiah near the windows and gentiles adopted this as a new habit. Saint Lucy’s Day that once coincided with the Winter Solstice, the shortest day of the year before calendar reforms, has become a Christian festival of light. Saint Lucia’s or Lucy’s Day is celebrated most commonly in Scandinavia, with their long dark winters, and in Italy. Christmas is also part of the Christian festival of lights with decorated trees and the famous socks hanging from the fireplace (when there is one!). How would Santa ever manage to deliver its presents if he was not able to come down a chimney at Christmas? If your house does not have a fireplace for Santa, contact us and we will be able to help! Other Festivals of lights include Diwali and Kartik Poornima, both associated with Hinduism, Sikhism, and Jainism; Karthikai Deepam, a post-Diwali Tamil festival associated with Hinduism; and Tazaungdaing, a Buddhist festival marking the end of Kathina. For little children of all ages, from 1 to 111 years, having a beautiful festival of lights and spending quality time by the fireplace is a major part of the holiday. The main reason why fireplaces have remained very popular, not only during Winter Holidays but all year long, is their ability to create cozy, warm and inviting atmospheres. In a way, they still warm up the room but on a different level. 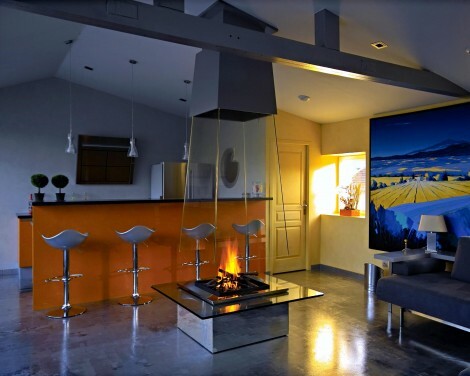 Among the multitude of fireplace styles and designs, suspended or hanging fireplaces are some of the most appreciated as they are true sculptures, centerpieces visible from all sides of the room and they spread the warmth all around them. Depending on the type of décor you have chosen for the room, the fireplace can either blend in or stand out, becoming a beautiful focal point of your home decor.